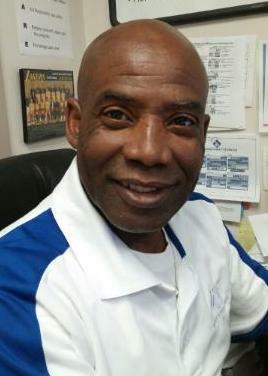 For sixty years, Boys & Girls Clubs of Greater Oxnard and Port Hueneme has been at the forefront of youth development. We work with over 9,000 young people a year that other youth-serving organizations have struggled to reach. Going forward, we are dedicated to ensuring that all of our community’s young people have greater access to quality programs that will help them shape great futures. One type of program that is desperately needed in our community is summer programming with a strong academic component. Numerous studies show that most youth lose about two months of grade-level equivalency in mathematical computation skills over the summer months. Studies also show that low income youth also lose more than two months in reading achievement. As a matter of fact, two-thirds of the ninth grade reading achievement gap between disadvantaged students and their more advantaged peers can be explained by unequal access to summer learning opportunities during the elementary school years. To address this need, Boys & Girls Clubs of America has developed and tested a new program called Summer Brain Gain. Summer Brain Gain adds engaging, educational activities to the typical summer camp experience and is for youth ages 6 to 18. While the average low-income U.S. student lost at least two months of learning last summer, the average Summer Brain Gain participant did not experience learning loss. Moreover, some Club members actually experienced gains in learning – especially in vital 21st century skills, like collaboration and critical thinking. This is very encouraging, given that most youth experience significant summer learning loss. We need the communities’ support to continue to launch quality programs and to provide educationally enriching summer opportunities for our kids who need it most! We are looking forward to a great summer at BGCOP! Naydelyn’s favorite subject in school is math. The Club’s Technology Room has lots of “cool” computer games, like “Good Daddy,” a language arts game. She also likes to play games with math and social studies because they’re fun and they help Naydelyn learn concepts that help her with homework. The staff in the Tech Room helps with the games, too. Naydelyn also likes to play piano in the Music Room, noodle around on the drums, and do art and play softball. She has made a lot of friends at the Club and likes that there are a lot of kids at to play with. Anyone can be here and be happy, she says. Naydelyn says when she grows up she wants to be a veterinarian or a police officer. A gold level Corporate Champion, CRC was this year’s presenting sponsor at the 13th Annual Great Futures for Kids Breakfast. Headquartered in Los Angeles, CRC is California’s largest oil and natural gas producer on a gross-operated basis, with more than 5,000 employees and contractors, operating properties in each of California’s four major oil and gas basins: San Joaquin, Los Angeles, Ventura and Sacramento. Using advanced technology to boost production from its diverse portfolio of reserves, CRC is committed to ensuring safety and protecting the environment everywhere it operates. Congratulations to the 103 Youth Empowerment Program (YEP) participants who successfully completed the program! They were recognized April 30 at a success ceremony. Family and friends shared in the special awards dinner, where YEP case managers recognized all their students and presented special awards to select participants. Partner Awards and recognition were also given to the educational and employment partners that help make YEP successful by offering their time, space or services. These partners include Imperium Reiggn Empire, Center for Employment Training and Little Piece of Heaven. For high school students, the Job Ready program focuses on career planning and leadership skills and is offered at Channel Islands, Hueneme, Pacifica and Oxnard high schools. The Job Ready Accelerated program assists youth aged 18-21 and already out of school with a diploma/GED, vocational training and employment. The Network for Teaching Entrepreneurship program offers high school seniors a chance to design their own business venture and be awarded a cash prize to invest in their ideas. YEP offers multiple services to students enrolled. In addition to a case manager who serves as a mentor and guide toward educational or employment goals, students also get paid work experience with local employers. The programs also include supportive services, which help youth obtain vocational training and clothing for interviews, and cover the cost of bus passes and exam fees. More than 1,100 Club youth in the Oxnard and Port Hueneme areas have been a part of YEP since the program began in 2004. What are your kids doing this summer? Registration is now open for the Club’s summer program, which runs June 22– Aug. 21, and is open to youth ages 6-12. There are also opportunities for teens ages 13-18. Youth are invited to participate in age-specific programming during 10 weeks of themed camps, which focus on athletics, music, arts, technology and games. There will be a field trip every week in the theme camps and plenty of fun! Sports Camps for Champs—including basketball, soccer and flag football—will be offered every week. Activities for teens include a free counselor in training program for youth ages 14–18 who are interested in assisting with camps, learning new skills and becoming first aid certified. The cost is $90-$95 a week for day camps. Early drop off (7 a.m.) and late pick up (6 p.m.) are included with general membership. BGCOP will scholarship any child who is unable to pay for the camps. 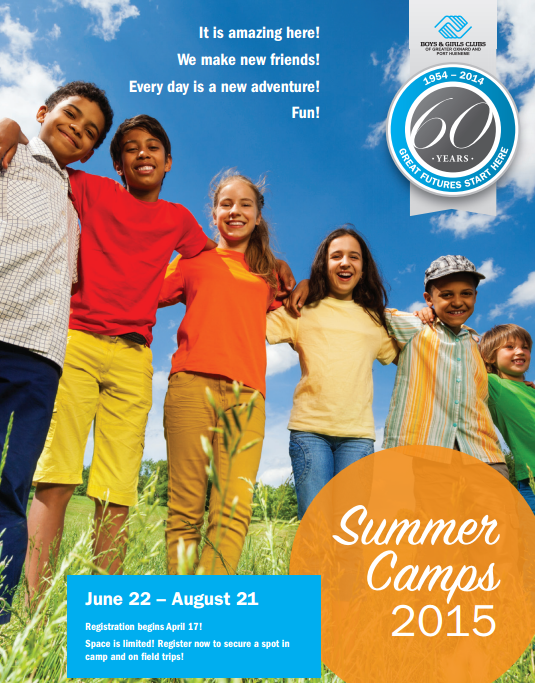 For more information on BGCOP’s summer camps or to sign up your child, please call (805) 815-4999, or visit www.positiveplace4kids.org. You can also view the program schedule here. Our 22nd Annual “Fore the Kids” Golf Classic, presented by Staples Construction Company, will be held on June 1 at Spanish Hills Country Club in Camarillo. Entry fee to the tournament is $225 per player. The all-inclusive registration fee gives each player access to green fees, carts, quality tee gifts, lunch, mulligans, raffle tickets, putting contest, hole-in-one contests and the awards banquet. For more information, contact Mayra Rincon, BGCOP special events coordinator, at 815-4959 ext 200 or e-mail mrincon@bgcop.org. Funding from this event helps support the programs and services for more than 9,200 youth we serve at our 18 Club locations in Oxnard and Port Hueneme. More than 240 people attended our 13th Annual Great Futures for Kids Breakfast April 23, helping us to raise $100,000 for the Club. The breakfast featured a keynote address by award-winning screenwriter, author, producer and director Antwone Fisher whose autobiography, Finding Fish: A Memoir, became a feature film directed by Denzel Washington. Once a Club kid himself, Antwone shared the story of his troubled childhood and told the crowd how he uses the challenges he’s experienced to motivate others. He wants young people to know that no matter what’s happening in their lives, they have the ability to become successful members of society. Antwone was born in prison to a teenage mother, spent 12 harrowing years in the foster care system and was homeless by the age of 17, before setting on a course of healing and serving in the United States Navy for 11 years. This year’s presenting sponsor was California Resources Corporation. More than 100 youth can continue calling the Nyeland Acres Community Center their Clubhouse. In a 4-1 vote on May 5, the Ventura County Board of Supervisors approved a recommendation to provide $150,000 in annual funding to each of the Boys & Girls Clubs in Oxnard, Santa Clara River Valley and Ventura that serve youth in the Nyeland Acres, Piru and Saticoy areas. Supervisors Steve Bennett and Kathy Long made the recommendation to the board. They stated that the Federal government identified these areas as disadvantaged communities in the unincorporated area of Ventura County and, as such, the board has a special responsibility to ensure that youth in these communities have access the positive environment, skill-building and life enrichment experiences offered by Boys & Girls Clubs. The funding will be available beginning July 1. Monique Garcia, site coordinator for BGCOP’s Nyeland Acres Community Center, adds that Club Nyeland is the only supervised site for youth in the area to come after school. Opening as a community center September 2014, the Nyeland site serves youth from first to 12th grade. 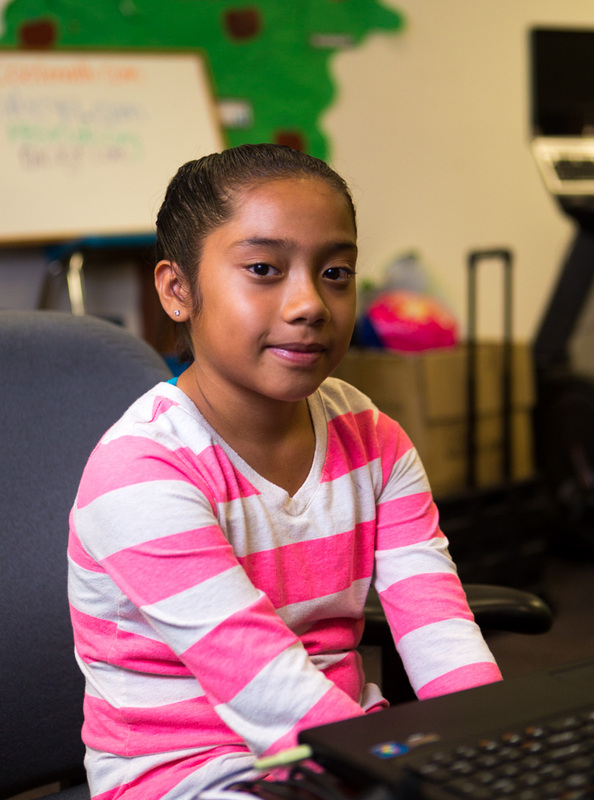 Each day, between 40 and 65 kids come to the club, which has over 100 students enrolled. Students are offered a wide range of services, including athletics, life skills classes, Voices of Hope music program, arts and design groups, community service programs, Signs in Motion sign language performance teams, reading clubs, science groups and more. Club Nyeland offers STEM (Science, Technology, Engineering, and Mathematics) programming, which has opened a new horizon for everyone who attends. In the programs, students have the opportunity to use a laptop to do research and reports. The laptops are also used for other Club groups and programs, such as Torch Club, Smart Girls, Street Smart, Triple Play, Healthy Habits and, most importantly, Power Hour homework time. Club high school students can use the computers for goal planning, researching colleges and career opportunities, too.